Advanced & durable hydraulic circuit and steady electronic control system circuits adopted in the hydraulic system enable to achieve high operating performance. 4 steel posts design instead of guide-ways for punching movement and equipping linear guide-way for the front & rear feeders. The unit performs precisely, stably, quietly, nimble and powerful. lt'sconvenient even for the use at the upstairs of a factory. Cutting depth can be precisely set up to a tolerance of 0.008 mm. Processed item may be full or half cut-off. ltems with adhesive may be used as well Products are free from rough edges. The machine is equipped with a protecting device to ensure safety of people and the machine. Automatic cooling system and full-auto cutting device are available for additionally purchase and fitting. Designed in high-precision construction, this machine can be used to perform full-cut and half-cut fabrication tasks. Up/down punching travel uses four high-rigidity guide poles, with linear rail designed for the feeding mechanism. Two-step pressure control to achieve flexible and lower noise operation. It is suitable for multi-level factory buildings. Automatic Cutter Adjusting Mechanism can perform automatic adjustment according to the desired setting, providing 0.01mm accuracy (0.001mm optional). High-precision German steel plate is used to achieve higher durability and wear free operation. This machine uses advanced and durable hydraulic system and electronic control circuits. LCD(Liquid Crystal Display), EL Panel, Soft Print Circuit Boarda, Insulation Spacers, Self-adhesive Labels, Oil Seals, Membrane, thin Films, PE Foams, PVC, Aluminum Boadrs, Polarizers, and High-Precision Trim Presses For Copper, Aluminum and Tin. Thin Film Transistors: A wide range of high performance optical films. Touch Panels: optical adhesives, special adhesives, various printing film, ITO films, and sealants. Electronics: FPC, HDI, RFPC, fiberglass, printing material, insulation, EMI material. Conventional Industries: Processing of foam plate, oil seal, sticker, or any material with a back adhesive. 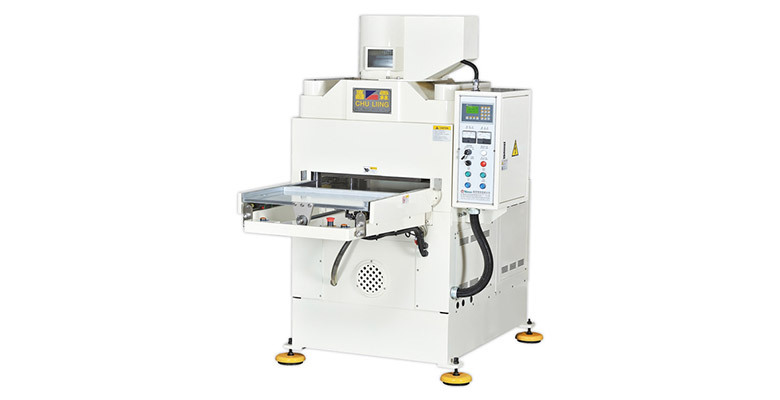 This machine can be used to perform full-cut & half-cut high-precision cutting tasks for any materials (excluding metals). Chuliing Machinery Co., Ltd was established in 1985 and is now an expert in manufacturing Die Cutting Machine. We also dedicate ourselves to develop automatic equipment and to train our employees to further enhance our Die Cutting Machine product quality.